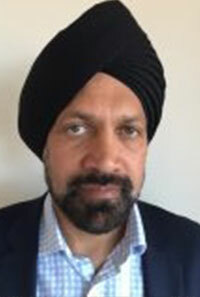 As Head of Commercial and Projects at Mutual Energy Limited, Gurpal is a key member of the senior management team and has specific responsibility for managing the business’s key longer term commercial arrangements. Additionally, the role includes taking responsibility for managing and delivering significant projects as they arise and taking ownership of value chain management (eg procurements and controls) across the business. Gurpal is a chartered engineer with an MSc in ‘Offshore Structures’ and an MBA from Warwick University. He has a wealth of experience across a number of industries, particularly dealing with complex contractual and programme management issues with multiple stakeholders. Such experience has been built up with Mutual Energy and in the recent past as Project Director with WSP and Balfour Beatty working on the East West Interconnector project as well as other major projects for National Grid, United Utilities, Yorkshire Water, BT and the BBC Transmission.